The process used to scrap away unhealthy plaque build-ups and tartar accumulated in the gum pockets or near the gum-line area, is known as dental scaling which is advised by orthodontists to have at regular period of time. In this process, the cleaning is done deep to your gum-line area and is often referred to as deep cleaning. Unlike regular dental cleaning, dental scaling takes multiple visits to the dental centre if the plaque is much in amount and has damaged your teeth severely. Therefore, before going to have a dental scaling and root planing, you must know what this process is and how it is performed by orthodontist and finally what kind experiences you will have once you go through the dental scaling process. When do you need scaling? It’s quite natural that if we are eating something that contains sugar, proteins and acids, some part of the food gets stuck near the gum line area, in the crown or in between teeth that decays with time and can’t be removed by regular brushing. This stuff by mixing with saliva offers a great dinner to bacteria that started getting stick to your mouth and finally works to damage your teeth and gums. This unusual stuff in the mouth builds up as plaque near the gum line area and on your teeth and you start having pain and swelling in your teeth and gums. These bacteria may also lead to tooth decay. Healthy gums stick to the tooth from 1 mm to 3mm below the gum-line area whereas this is not the case when you have plaque filled in your gum pockets and thus your tooth get loosely attached to your gum which can offer a sufficient space for bacteria to hide in. In severe cases, the pockets increase to 4mm and hence you need to immediately visit your dentist. There are basically two methods to remove the unwanted plaque from your gum line area or gum pockets as described below and after which the process of root planing follows. 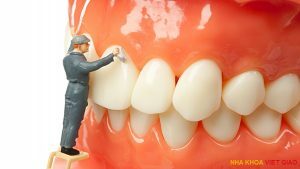 In this process, dentists carefully scrape away the plaque filled inside the gum pockets and below the gum line area with the help of tiny tools known as curette and dental scalers. Curette and dental scalers can reach to the places deep in the gum line or pockets where regular brushes are hard to reach. The ultrasonic instruments that are used by dentists are extremely small vibrating metal tips with a cool water spray with the help of which, dentists wash off the plaque build up inside the pockets and gum line area. The vibrating tip helps to remove the tartar away which is finally wiped out by the cool water spray. Once the plaque is scraped away completely, dentists follow the process of smoothing the gums which is known as root planing. The process reached deeper to the roots of the teeth and is conducted in the same manner as scaling. This process helps the teeth to reattach to your gums easily and strongly. If you are really scared of the process of dental scaling or root planing because of having sensitive gums or teeth, then you must not worry a bit as dentists can use local anaesthesia to numb the area of your mouth where the scaling needs to be done. In this way, you will not feel any sensitivity or pain during the procedure. However, dentist nowadays, perform the scaling and planing process in parts. They divide the whole mouth into quadrants or halves to make the process easier with multiple visits. You can also go through a single day scaling process if you have sufficient time and patience to carry on with the process. After the scaling treatment, there can be a case that you may feel soreness and sensitivity for some days as roots are not completely attached to the gum. Even there are cases where people have started bleeding but that only occurs when you have highly sensitive teeth or have eaten something hard or chewed for which, you have to effort a bit extra. But dentists recommend sensitive toothpaste and suggest avoiding hard food, alcohol or cigarette for a span to let the gums and teeth reattach and heal. It is strongly advised to brush and floss your teeth on a regular basis and visit to the dentists for regular check-ups to avoid plaque to form up again. With regular check-ups by the dentists you will be assured of the proper healing and health of your teeth and gums. So if your dentists recommend you for dental scaling, there is no need to get tensed. Instead, go on with the process to have healthier, brighter and stronger natural teeth that can enhance your smile and improve your eating schedule.